The family of America’s iconic folklore outlaw, Jesse James, considers Justin Whiting of Spalding, England a merchant of identity theft. 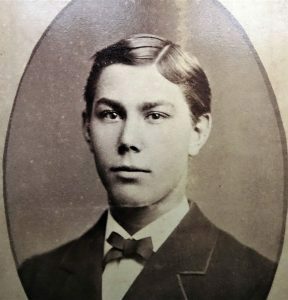 The James family discredits the claim by Justin Whiting that says this is an image of Jesse James. The family accuses Whiting of trying to capitalize on the authentic identity of Jesse James and the James family. They charge Whiting manufactured, promoted, and is selling an image of Jesse James that is not authentic, but a fake. The family further says Whiting is creating a scam of identity theft to capture a multi-million dollar profit, using the fraudulent image. 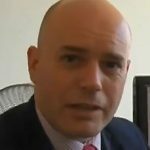 An interview of Whiting by Simon Spark from BBC Look North, appearing in Whiting’ s Facebook timeline, confirms that Whiting thinks his fake image is worth $2 million. Whiting says, he wants to buy a house and car with the proceeds he anticipates. The James family maintains the known and authentic physical features of Jesse James are genetic. The identity theft of known historical physical features that are evident in the past equates to the very same characteristics alive in the James family today. Stealing from Jesse James is theft from his family alive today. Identifiable characteristics of historical identity continue to exist among living members of the James in present time. 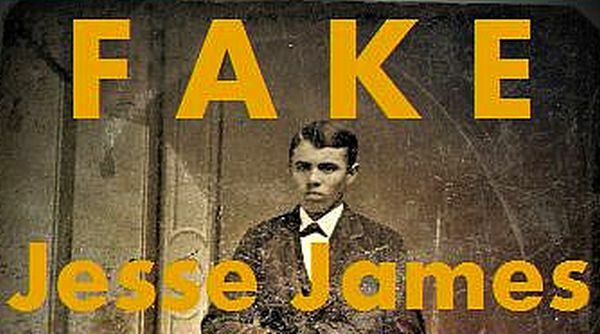 As evidence, the James produced two videos – MEN of the Jesse James Family and WOMEN of the Jesse James Family. The videos forcefully display and identify multiple genetic physical features of the James that persist from the first period of photography to present day. 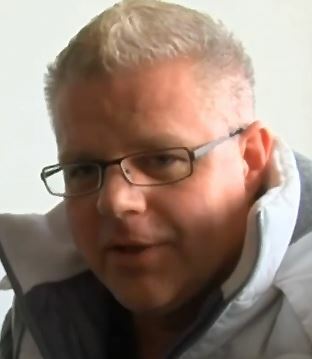 Justin Whiting first surfaced in public in 2013. At that time, Whiting claimed to have found an unknown image of Abraham Lincoln, the renowned U.S. President. Whiting’s story of an eBay find of Lincoln that in fact is not Lincoln forged a template that Whiting now repeats five years later with his “7£ eBay find,” which Whiting claims is Jesse James. The James family declares Whiting’s actions follow a known template for fraud and con artistry. The family affirms it has been impacted numerous times before by experiences of other fraudulent Jesse James photos hawked by other con artists. 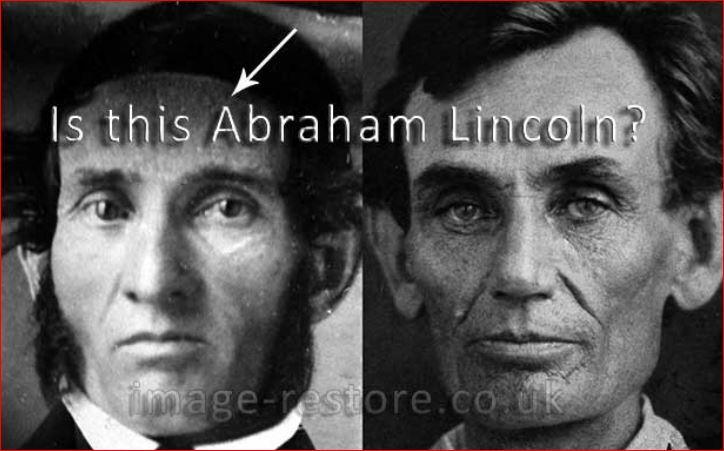 The story of Whiting’s claimed image of Abraham Lincoln first was published on the web site image-restore. The business generally provides services for restoring old photos. Ironically, the owner of the company and website resurfaces today regarding Whiting’s fake Jesse James image. More about Neal Rhodes, aka Neal David Rhodes, later. 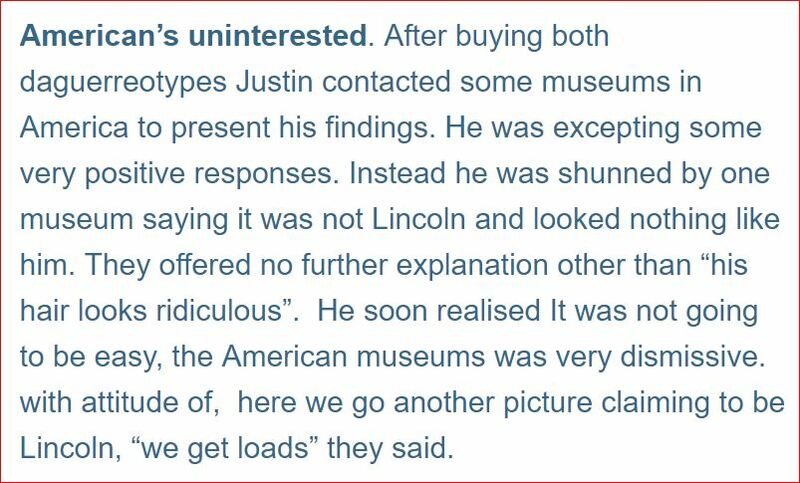 In 2013, Justin Whiting embraced image-restore to disseminate his Lincoln deceit. 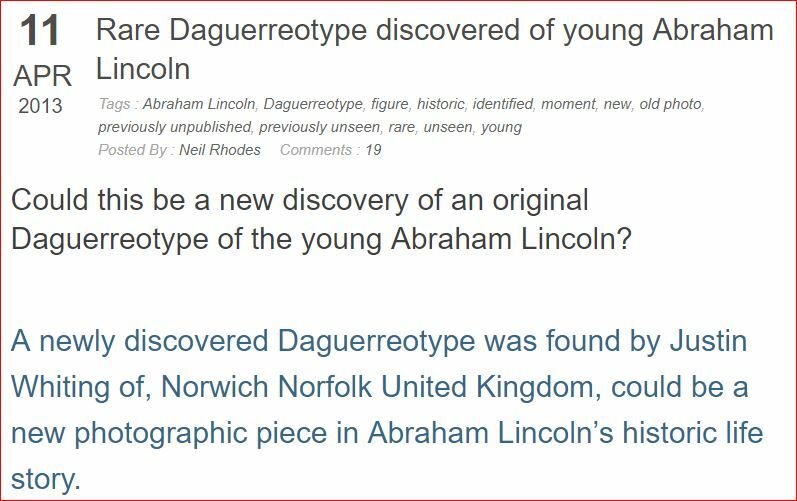 For his Jesse James fraud in 2018, Whiting employed SWNS, a news story generator in the UK. “Every day we help people tell their story,” SWNS advertises. As it did for Justin Whiting, SWNS packages the teller’s story and distributes the content to news outlets and aggregators. From the UK’s newspaper The Telegraph to quickie, spot video delivery outlets like YouTube, SWNS spread Whiting’s scam. The income SWNS collects is shared with its storyteller. By simply manufacturing a story, Justin Whiting already is profiting off his fake Jesse James image swindle. 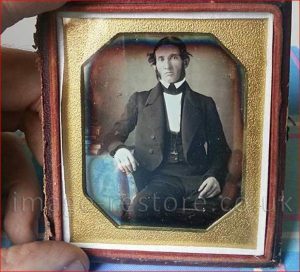 A look in the mirror at Whiting’s 2013 Lincoln image fraud reveals the template for a fraud that Whiting transfers in 2018 to his claimed Jesse James tintype. The following excerpts from image-restore define Whiting’s template elements in 2013. The author of Justin Whiting’s Lincoln claim story is Neal Rhodes, aka Neal David Rhodes, pictured in the “About the Author” excerpt above. Rhodes resurfaces in Whiting’s Jesse James artifice as the restorer of Whiting’s eBay find. Metadata embedded in the electronic image includes a copyright claim to the image in Rhodes’ name. Among formal forensic science analysts, alterations to historical artifacts equate to evidence tampering. To be properly authenticated, a photographic image must remain in its unaltered condition as found. Failing to convince anyone that his claimed image is Jesse James, Justin Whiting now is promoting a new image h claims is Jesse James between 16 and 18 year of age. As usual, Whiting disregards history altogether. 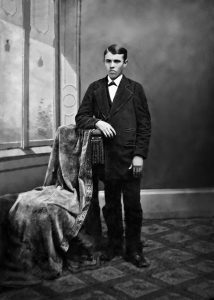 Between the ages of 16 and 18, Jesse James had become a wartime guerrilla with no income to afford a good suit and fancy tie. As the disease of the con artist continues to seize upon Justin Whiting, he lo continues to issue new photo identities of himself. In this image, Whiting appears suspiciously to be Neal David Rhodes, Whiting’s photographic authority identified above. Called out on his image likeness with Neal David Rhodes of image-restore, Justin Whiting now has reverted to a more youthful image of his middle-aged self.